Celebrate summer’s last big weekend with free events, outdoor activities and cultural experiences in the nation's capital. We’re taking the work out of making your Labor Day weekend plans. Close out your summer in Washington, DC with the best activities, events and things to do. Here are more than 20 ways to make the trip a memorable one, from waterfront activities and interactive museum exhibits for the whole family to a free concert on the National Mall and so much more. The annual Labor Day Capitol Concert takes place on the West Lawn of the U.S. Capitol on Sunday, Sept. 2 at 8 p.m. This free music event kicks off the beginning of the Kennedy Center's performing arts season, and features patriotic classics that highlight the sounds of the American landscape. 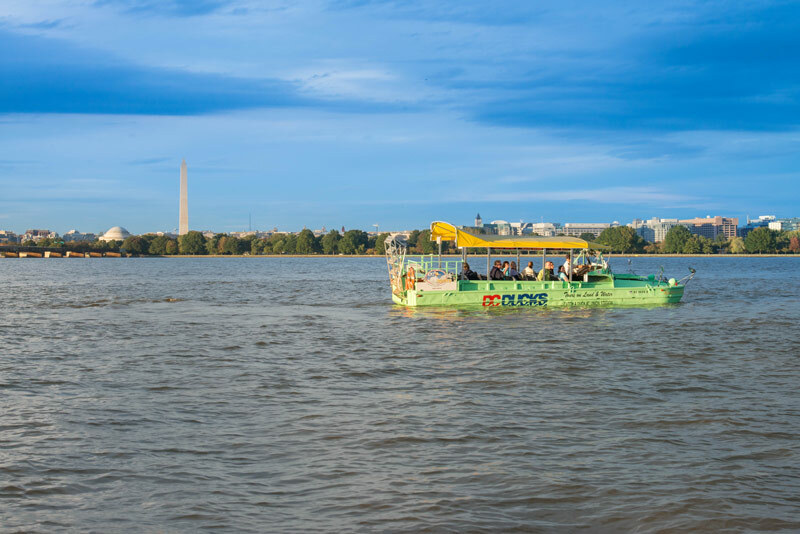 DC Duck Sightseeing Tours offers entertaining 90-minute land and sea experiences that take place in an amphibious vehicle built during World War II. With a knowledgeable guide and excerpts from famous speeches by American leaders at the time, everyone enjoys this unique history lesson. Take advantage of the waning days of summer and head to one of the many waterfronts in and around the District. Make a splash with plenty of family-friendly outdoor water activities to choose from, including kayak and paddleboard rentals. If you're looking to sit back and feel the wind in your hair, we've got you covered too. 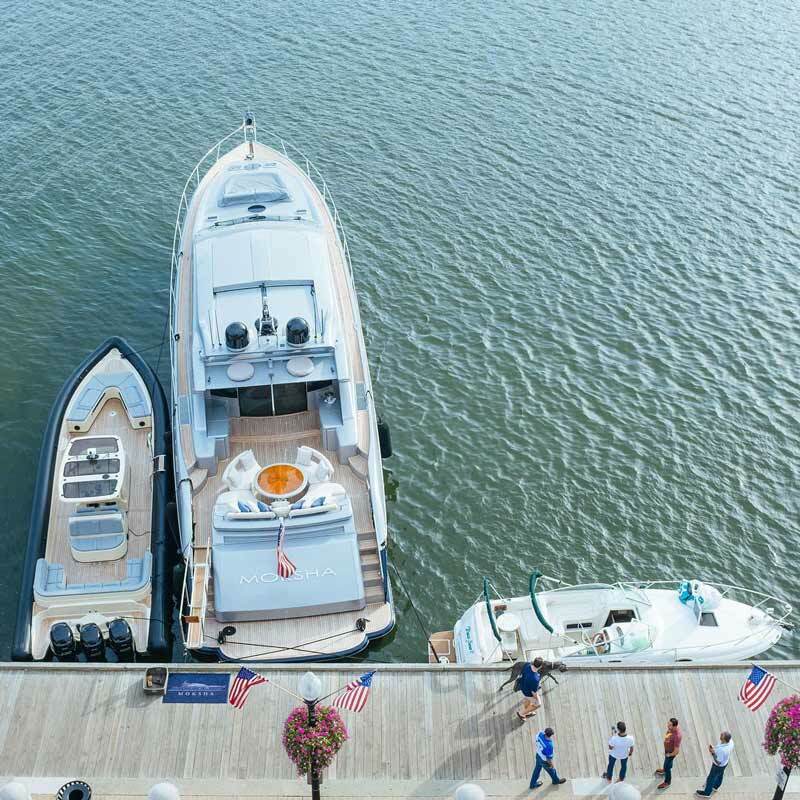 DC is teeming with amazing boating experiences perfect for Labor Day weekend. 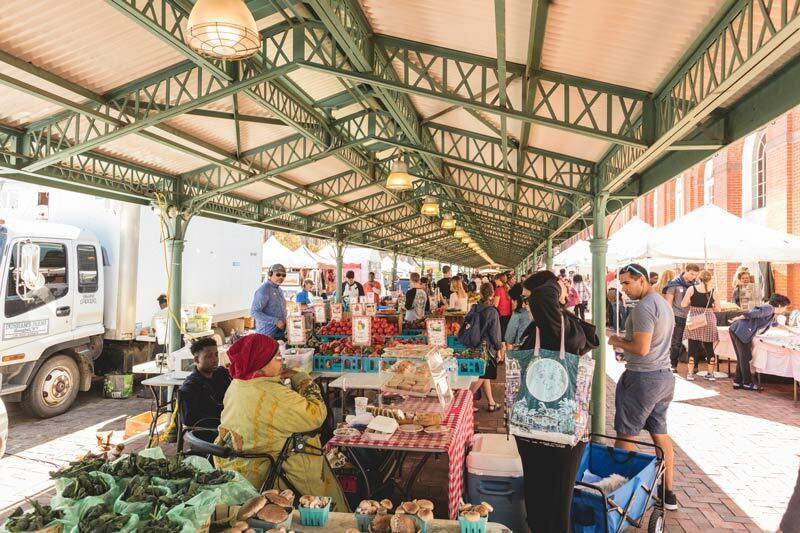 Sample the array of tastes from vendors near and far at our favorite farmers' markets in the District. Share a wood-fired pizza, grab a to-go sandwich, chow down on crab cakes or snag a bag of cookies or pastries before sightseeing on the National Mall. If you follow America’s arts and culture scene in any way, there’s a good chance you’ve heard of Hamilton. 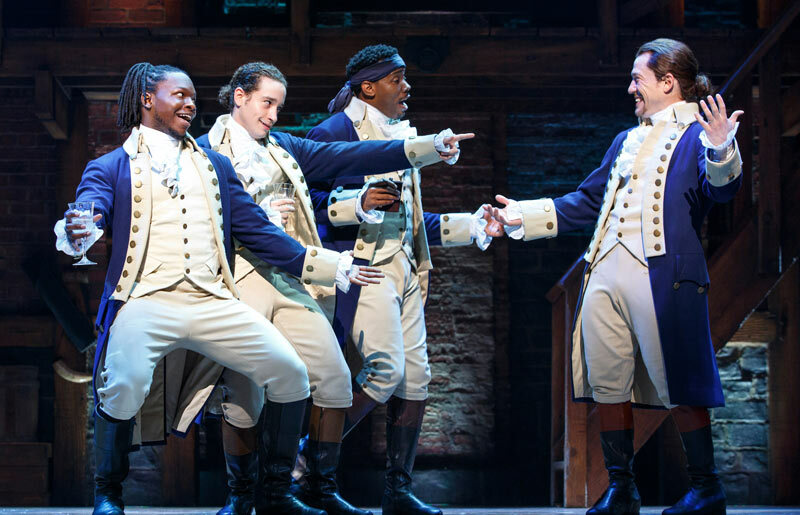 The Broadway smash has created a frenzy at the Kennedy Center all summer long, so don't miss your chance to score the season's hottest ticket for five shows over Labor Day weekend. If we haven't convinced you yet, check out every reason why this is a must-see show. 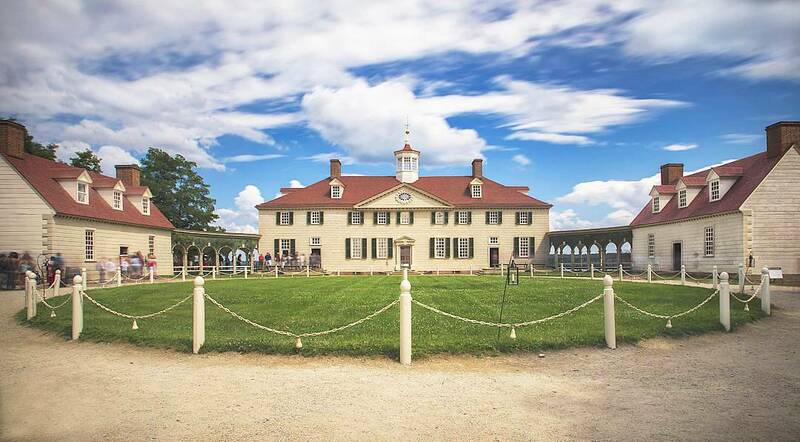 Head to Virginia to spend a day at Mount Vernon, George Washington’s former estate that also features a museum. With a panoramic view of the Potomac River, choose from a tour of the Mansion, Gardens, the Tombs or the Distillery and Gristmill. Start your visit in the Ford Orientation Center to see a film, and then plan your day with the help of the living history guides. Each year, the National Building Museum opens an exciting new installation as part of its Summer Block Party series. 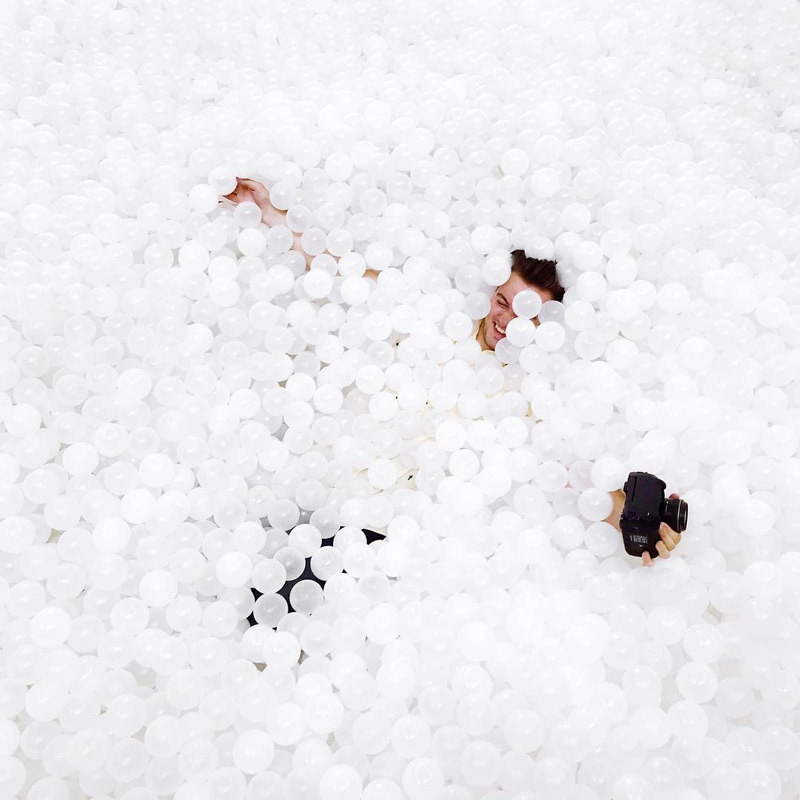 This year, reputable design firm Snarkitecture displays its first comprehensive exhibit at the museum, Fun House. The installation features a series of interactive rooms that reimagine the built environment, including both well-known Snarkitecture objects and new concepts. Fun House closes on Labor Day, so don’t miss your final chance to see this cutting-edge exhibit. 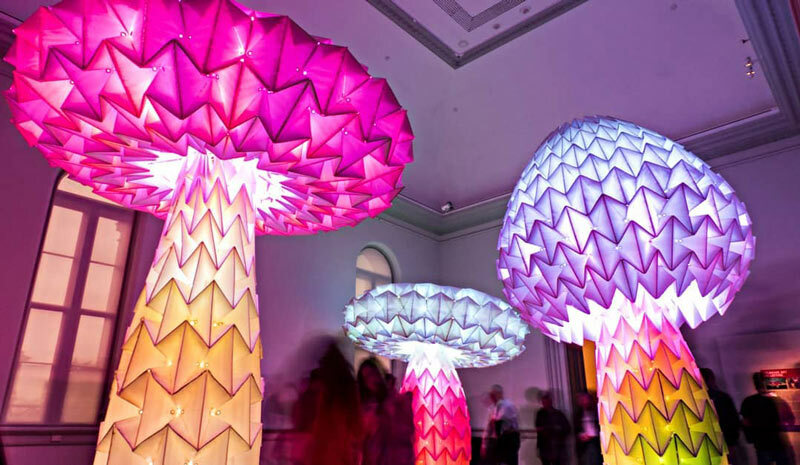 The Renwick Gallery is currently hosting the first major national exhibition to focus on the art of Burning Man, an annual gathering of 70,000 people in Nevada’s Black Rock Desert. No Spectators: The Art of Burning Man has taken over the entire gallery, even extending outdoors, with sculptures positioned throughout the surrounding neighborhood in parks and on streets in a collaboration between the museum and the Golden Triangle BID. Overall, this extensive exhibit showcases room-sized installations, costumes and jewelry, and should be a part of your Labor Day weekend exploration. 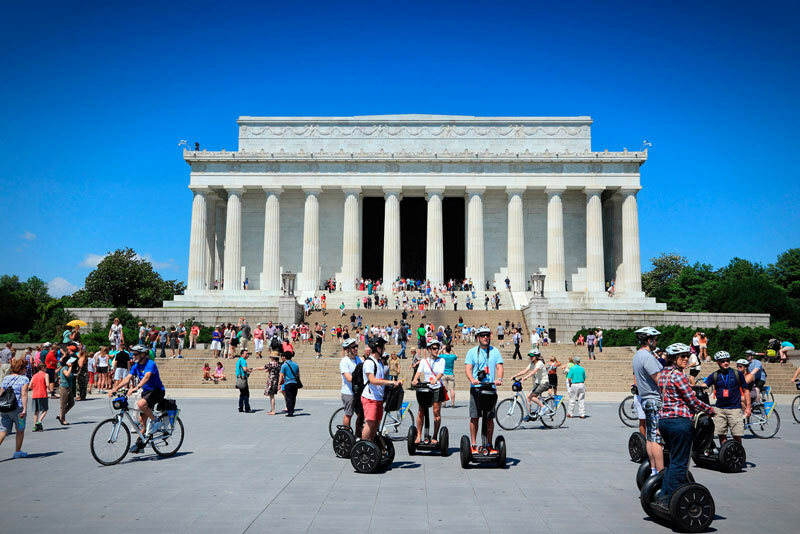 City Segway Tours and Bike and Roll can take you on scenic routes that pass many important DC landmarks along the National Mall and throughout the city. Discover even more tour and sightseeing options while you're visiting DC. You’ve put in all that hard work. Now, it's time to enjoy an end-of-summer-bounty at one of DC's many farm-to-fork restaurants. 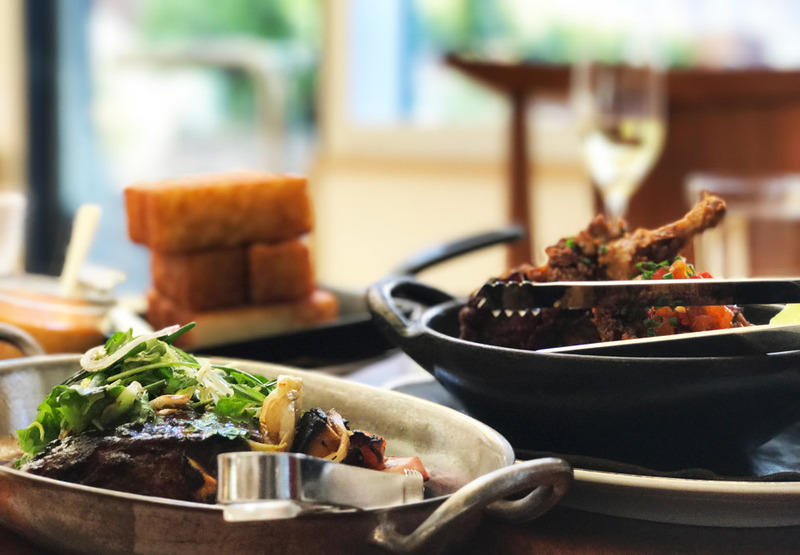 Come with a hearty appetite to eateries like the Michelin-starred Blue Duck Tavern inside the Park Hyatt Washington or Farmers Fishers Bakers in Georgetown. 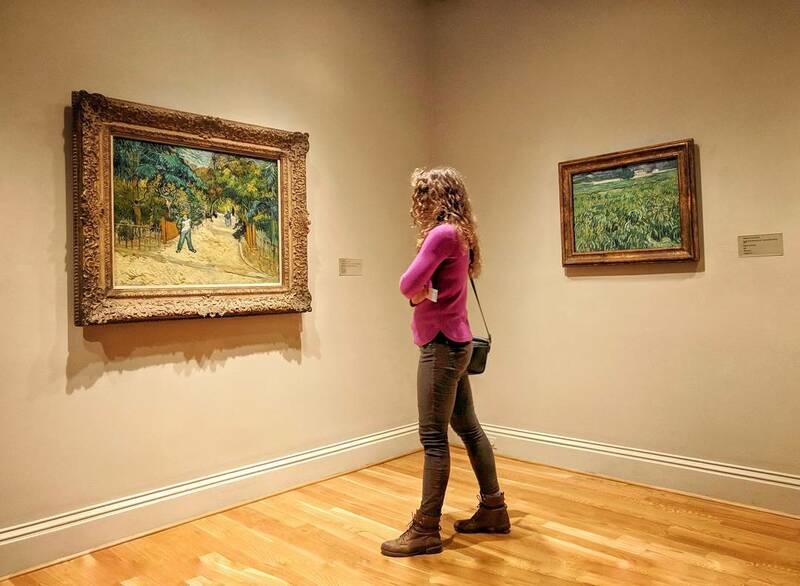 Labor Day weekend is an ideal time to take a spin through the legendary Phillips Collection in Dupont Circle. Along with touring the permanent exhibit of impressionists, modernists and contemporary artists, visitors should take a moment to contemplate the impact of color in the peaceful Rothko Room. 12 What better end of summer celebration than cocktails on a rooftop? 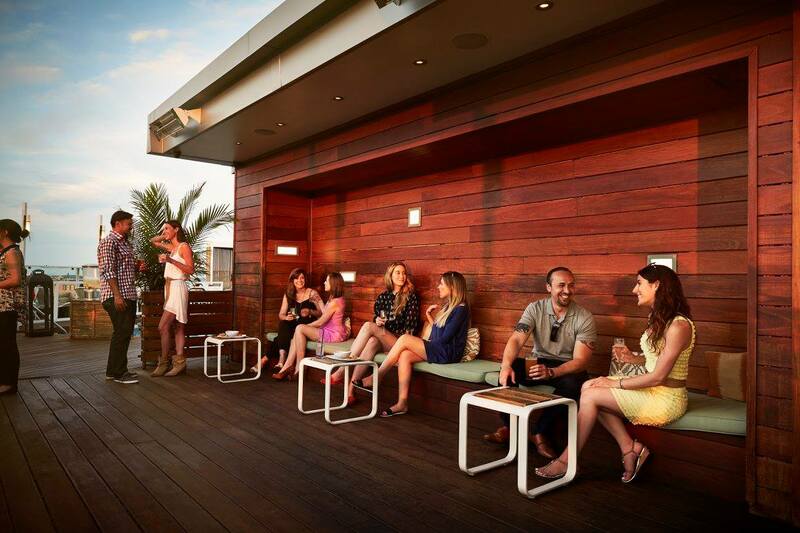 Here are a few bars where you’re sure to catch a breeze: The Liaison Capitol Hill Hotel, The Beacon Sky Bar at the Beacon Hotel in Dupont Circle, the DNV Rooftop Lounge at the Kimpton Donovan Hotel in Downtown. There are also scenic rooftop bars at El Centro D.F. and Masa 14, two popular Richard Sandoval restaurants on 14th Street NW. Check out even more rooftop bars and restaurants if those don't fully satisfy. 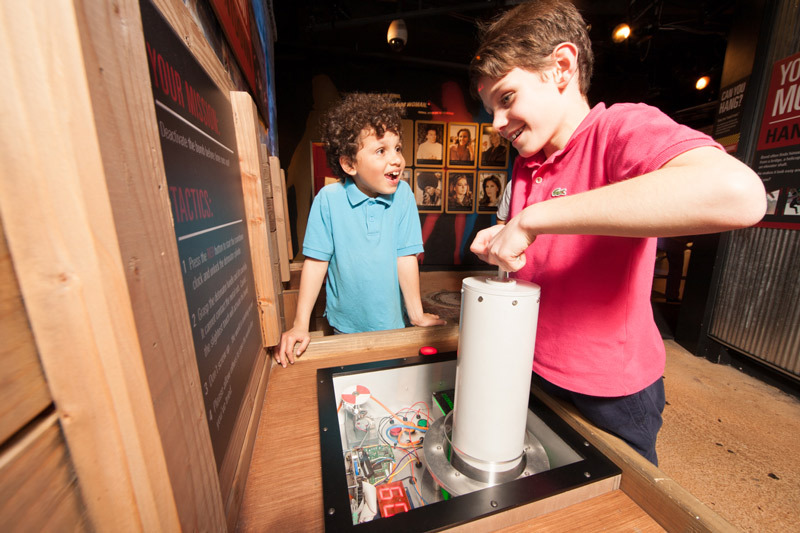 Visit the International Spy Museum to discover the ins and outs of the espionage trade, from gadgets to strategies to costumes. Kids will love Operation Spy, an interactive adventure that lets them test their spy skills. 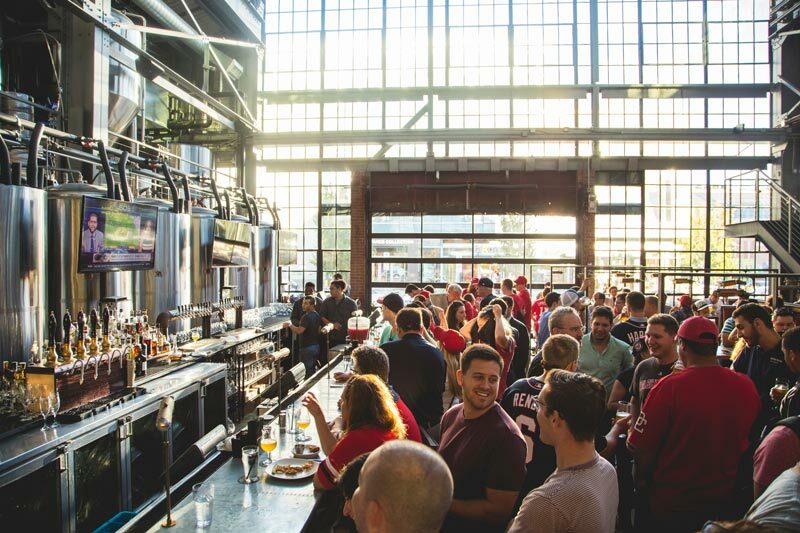 Take the craft beer lover in your life on a suds-focused tour with City Brew Tours DC. The five-hour tour takes guests to three Washington, DC breweries for tastings of up to 16 different beers. Try the Original DC Craft Brew Tour or the After Hours Brew Tour – or customize your own. To learn more about DC’s unique beer history and culture, check out these breweries in and around DC. Say goodbye to summer with a final ride on the Tidal Basin Paddle Boats. 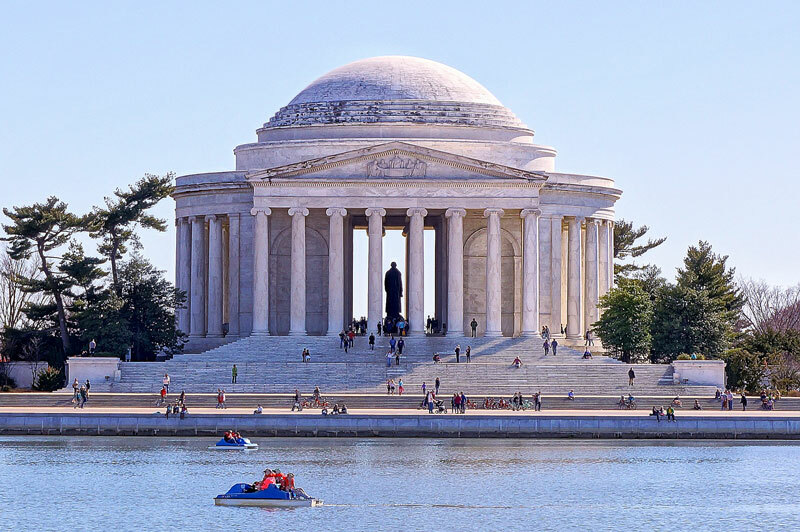 Paddle your way around the Tidal Basin for a waterfront view of the Jefferson Memorial and the Washington Monument. The Awakening at National Harbor is a five-piece cast iron statue consisting of a face, knee, arm, hand and foot that emerge from the sand, and kids are welcome to climb around on this unique art installation. 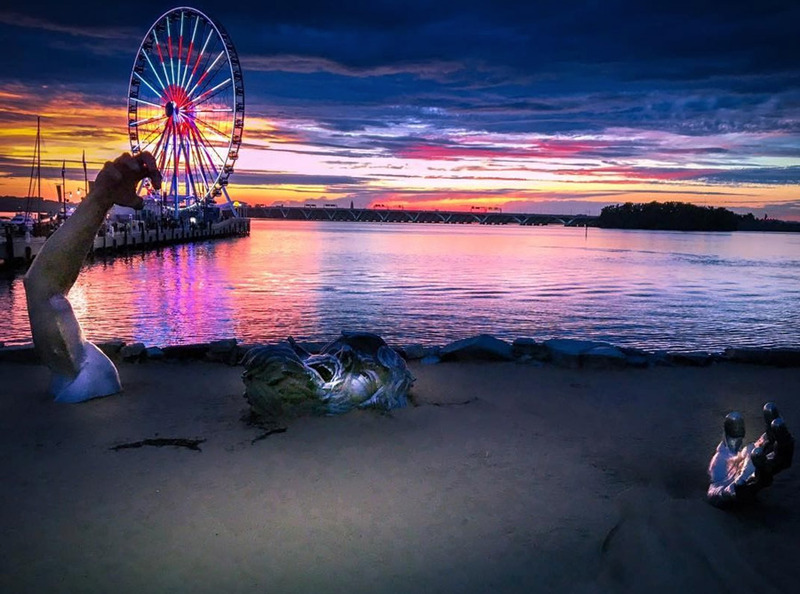 National Harbor feels like a beach resort, where you can ride the Capital Wheel, rent a paddleboard, catch a movie under the stars and much more. 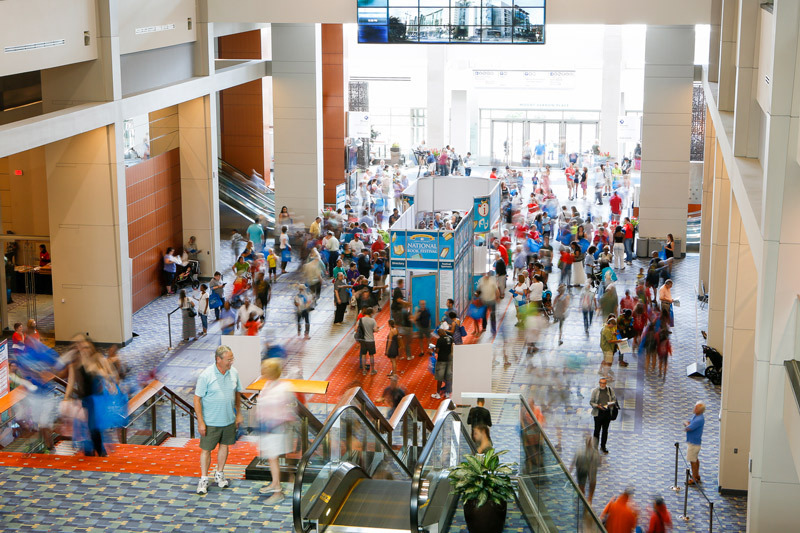 On Sept. 1, the Walter E. Washington Convention Center will host this annual celebration of books of all kinds, from children’s stories to epic novels, curated by the Library of Congress. 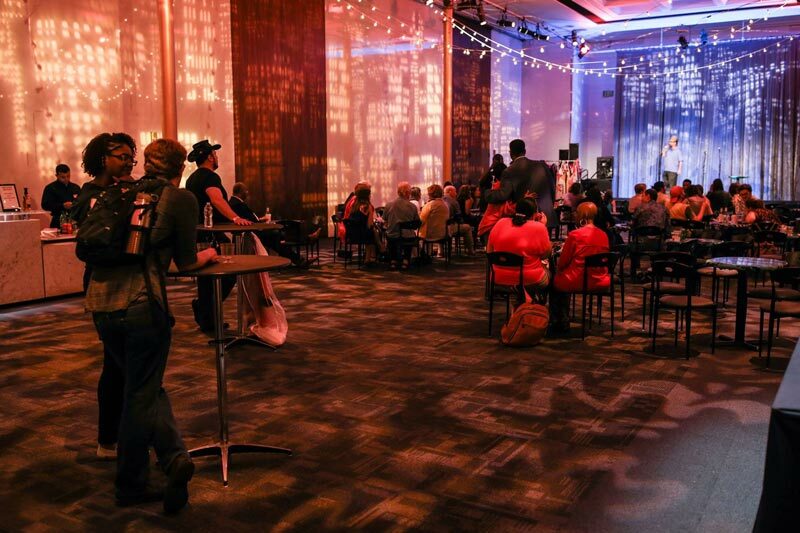 Authors will speak and answer questions about their work throughout the day, with the main stage featuring marquee names like Madeleine Albright, Doris Kearns Goodwin and Jon Meacham. The festival is free to attend! Meet all 45 American presidents at Madame Tussaud’s Washington DC Wax Museum. Take a selfie with your favorite, they’re all there – from George Washington to Donald Trump. Many of the first ladies are there too, along with various stars trending in pop culture. Located on the ground level of the National Museum of American History, the American Enterprise exhibit is an interactive display that walks you through the evolution of innovation, wealth and success in the United States as the country moved from a predominantly agricultural economy to an industrial powerhouse. 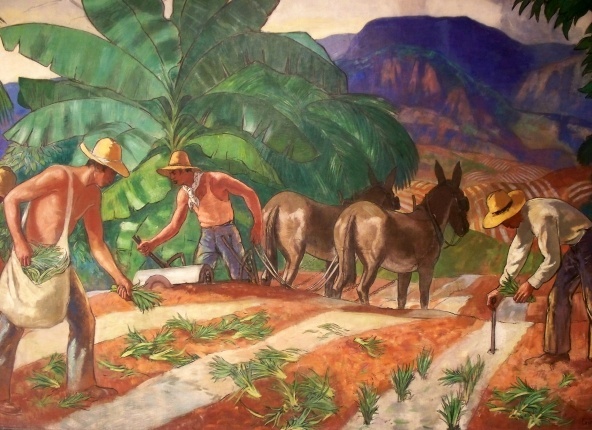 This tour at the U.S. Department of Interior Building lets you see paintings that depict the history of labor in the United States. Tours are offered on Tuesdays and Thursdays at 2 p.m. The tour showcases 26 photographic and painted murals by American artists like Ansel Adams, and is limited to 20 visitors. Reservations are recommended. This unique festival that takes place every year in Annapolis, Md. (roughly 50 minutes from downtown DC). 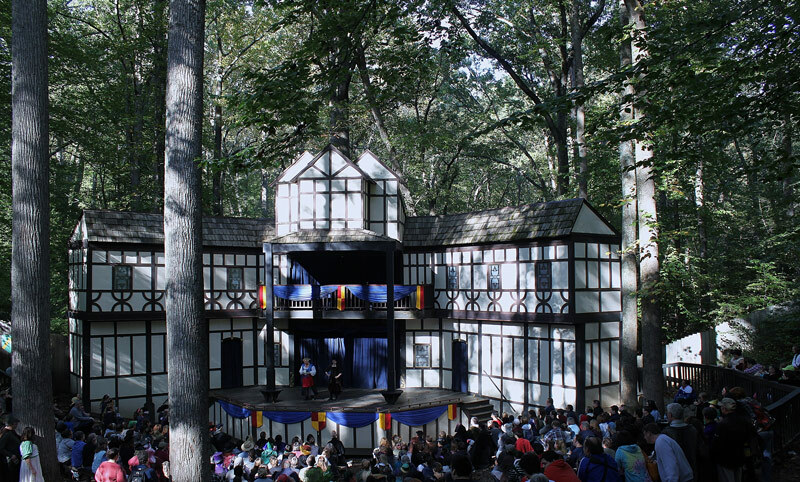 Fill the holiday weekend by checking out Renaissance-themed artisans, performances (including dances and musicians) and food. You can also dress up in your own costume, if ye so wish. Round out summer with a holiday weekend at the ballpark as the Nationals take on the Milwaukee Brewers and St. Louis Cardinals. The Nats are in pursuit of their fifth postseason appearance in seven years, as All-Stars Bryce Harper, Max Scherzer and Sean Doolittle lead the way. There are so many reasons to check out the Nats, but in case you needed a few more the games will also feature a trucker cap giveaway (Friday), a 2000s-themed night (Saturday), a kids’ pajama giveaway (Sunday) and Nats zip-up hoodie giveaway (Monday). And don't forget to get your exclusive discount and save big on tickets. 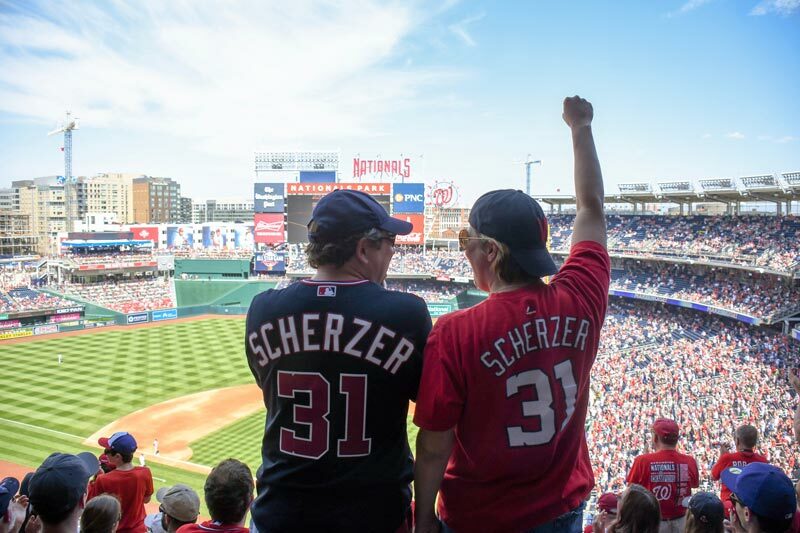 Just go to the single game tickets page, select the game you wish to attend and enter the promotional code VISITDC to experience one of baseball’s most exciting teams in action. 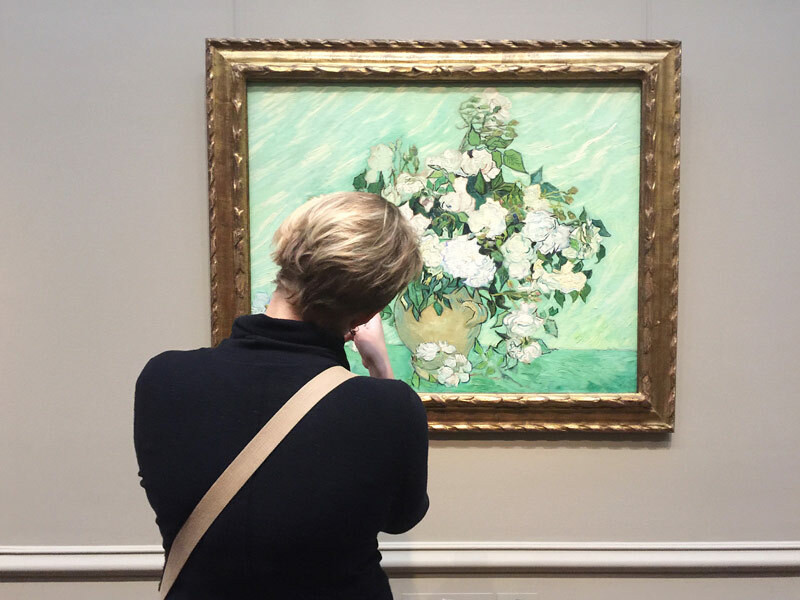 Open from July 15 – Jan. 6, 2019, the Sense of Humor exhibit at the National Gallery of Art pulls from the gallery’s collection to showcase how works of art can make us laugh. Renaissance caricatures, English satires and 20th century comics will all be on view. You’ll see works from Alexander Calder, Jacques Callot, the Guerilla Girls and many more. 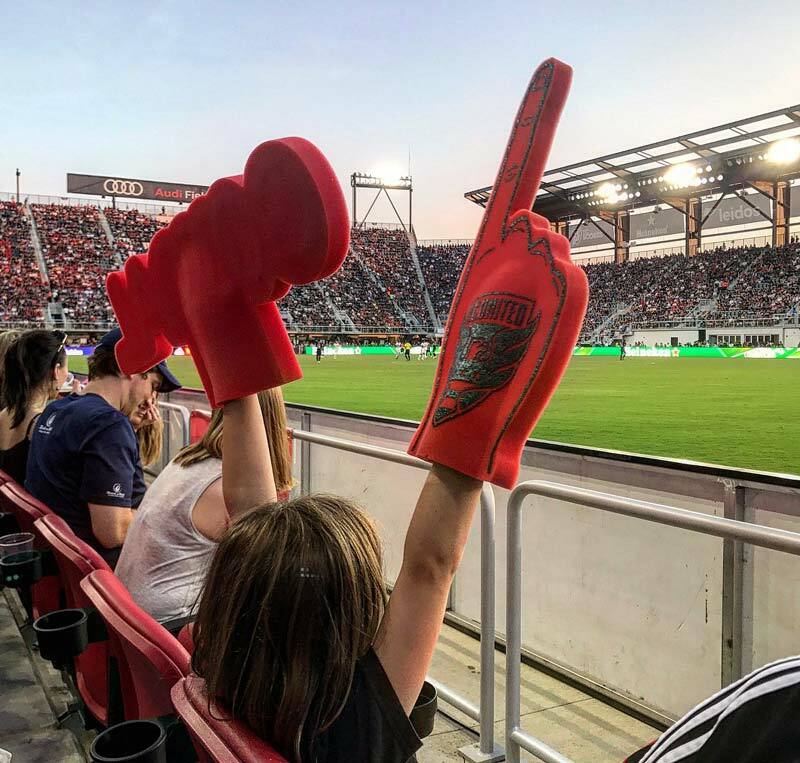 DC’s hometown soccer team will showcase the gorgeous new Audi Field in this match against one of the best teams in the MLS, Atlanta United, on the Sunday before Labor Day (Sept. 2). Newly acquired Wayne Rooney will lead United against its Southern foes during the 7:30 p.m. tilt. Don't forget to check out all the reasons why you should check out D.C. United and Audi Field. When the Kennedy Center hosts the Page-to-Stage New Play Festival over Labor Day weekend (Sept. 1-3), you can catch scores of free performances from more than 60 DC-area theater companies at stages throughout the venue. You will see a wide range of plays being workshopped and rehearsed, including musicals and dramas. Seating begins 30 minutes before each play, but it’s a good idea to arrive early. There you have it – plenty of memorable ways to cap off your summer this Labor Day weekend! If you already made your summer plans or want to go on another exciting vacation to Washington, DC, consider visiting in the fall or winter.